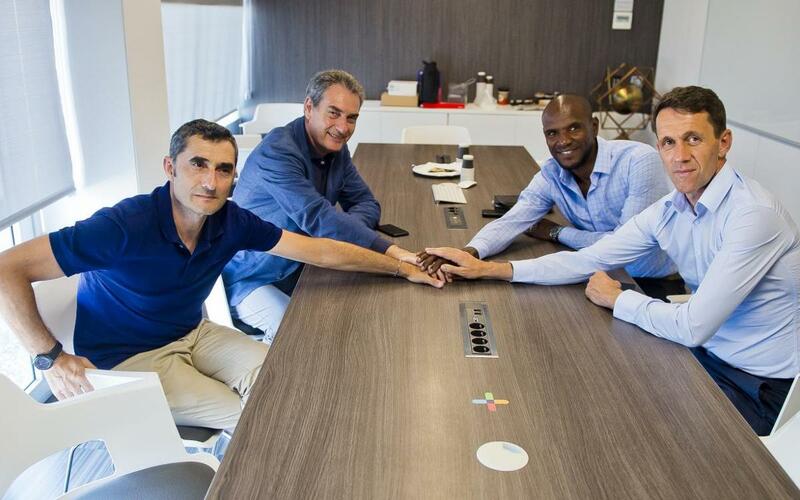 The Ciutat Esportiva hosted a technical meeting this Thursday, which included coach Ernesto Valverde, sports manager Pep Segura, technical secretary Éric Abidal and his assistant Ramon Planes. Taking advantage of Ernesto Valverde's vacation, all four have met in order to continue advancing the planning for the 2018/19 season. It should be remembered that the first team will return to work on Wednesday, July 11, and that on Tuesday 24 they will begin their tour of America, where they will face Tottenham Hotspur, AS Roma and AC Milan.